The advancement of technology has benefited us in several ways. Today, everything raging from shopping to advertisements has become digital. Companies are stepping out of the conventional sources of advertisements and they have chosen digital platform as a reliable mode for promoting their businesses. 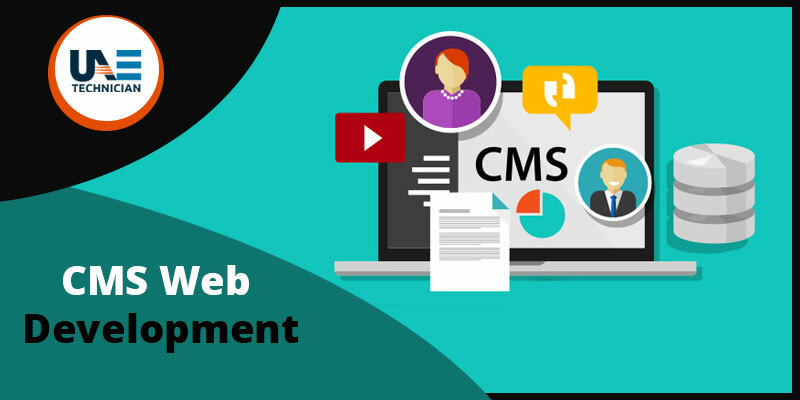 Custom Management System, commonly abbreviated as CMS is one such digital platform where services and products are promoted through sales contents. Are you looking for CMS web development services? Your search certainly ends with our excellent services. We at UAE Technician use cutting-edge technology to improve your CMS web design. We value your desires and transform the same into perfect SEO friendly designs. Through our constant support, your business will flourish and optimize its online presence. We work hard to increase the traffic on your website. With our solutions, your website will become much more responsive and easily navigable. We have given specialized training to our experts at UAE Technician so that they can deliver their work efficiently. Our company take immense pride in creating a reputation for offering unmatched quality of service. Being a reputed company in Dubai, we provide various customized services for high-quality websites. Our professionals at UAE Technician go through all the segments in the lifecycle of software development process starting from designing the software for prototyping, development, and implementation. If you want to get hold of amazing designs, place a call at our helpline number: 042053349 for CMS Web Development in Dubai. We are waiting to help you out with our affordable web development services in Dubai. If our helpline number is unreachable or busy, avail our live chat facility to connect with us. Don’t worry about expenses; our services are priced to fit into your budget. Choose us as your service provider and experience authentic and genuine services. If our services are helpful to you, let us know about your views regarding the quality of our work. We also provide Custom web development service in Dubai.